I’ve been feeling under the weather this week and haven’t been up to the task of pondering the mysteries of “Interstellar,” especially while under the influence of Nyquil. But I would be terribly remiss if I didn’t say something about Christopher Nolan’s grandiose and truly grand space opera. “Interstellar” has been out for a week, so I’m a little late to the party but this is a film still worth discussing and it will be for some time. If, like so many of us, you were mesmerized by Nolan’s past work, which includes such shamelessly entertaining, elegantly realized, smart, sophisticated opuses as “The Dark Knight” and “Inception,” you won’t want to miss “Interstellar.” It is by far the director’s most ambitious, spectacular, challenging and flawed endeavor yet. I grew up on the writings of science fiction author Ray Bradbury. Bradbury believed it was the destiny of humankind to throw off the bounds of our planet to explore and colonize other worlds. This, he theorized, was the way we would achieve immortality. We should never look up at the stars and be content to remain where we are. “Interstellar” is alive with the same spirit of optimistic humanism. Like Nolan’s previous films, it is exceptional on a technical level, transporting in a way moviegoers crave but rarely experience. It’s also a film full of big ideas, pushing its audience to engage their brains, to think. If you’ve seen the trailers, you know the basic plot. “Interstellar” features Matthew McConaughey, continuing his recent, unbroken streak of praiseworthy performances, as Cooper, an engineer and pilot turned farmer living on an overpopulated Earth on the brink of environmental disaster. Cooper is a widowed father to the fiercely intelligent, stubborn Murphy, nicknamed “Murph” (Mackenzie Foy). As Dust Bowl-like conditions consume the Earth, he’s forced to make a decision between watching his daughter grow up on a doomed planet or leaving her behind in a risky bid to save her and the entire human race. One of the delights of a Nolan film is that what you’ve seen in the trailers barely scratches the surface of the story. Many surprises await in “Interstellar,” which is why I’m not going to say any more about the movie’s premise. There’s much to spoil, but you won’t hear it from me. In general terms, “Interstellar” is a movie about the tension between science and the unquantifiable things that make life worth living — love, faith, self-sacrifice. 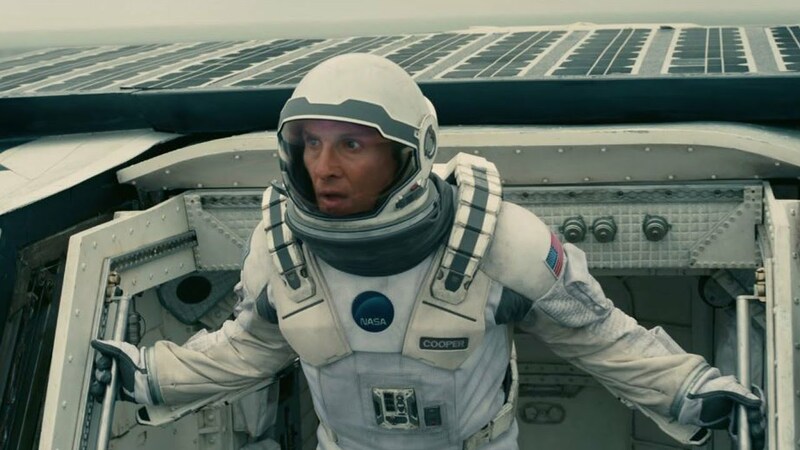 Like last year’s “Gravity,” “Interstellar” MUST be seen in IMAX. Nolan shot portions of the film in the format and, while the visuals are astounding, it’s the sound that is most effective, rumbling from state-of-the-art speakers. It literally shakes you in your seat, an amazing sensation perfectly suited to the otherworldly perils depicted on screen. I’m betting this will be the movie to take home all those mysterious sound editing and mixing Oscars in a few months. Composer Hans Zimmer really outdoes himself with a musical score featuring the sound of organs. Listening to it is practically a religious experience. “Interstellar” is by no means a perfect film. 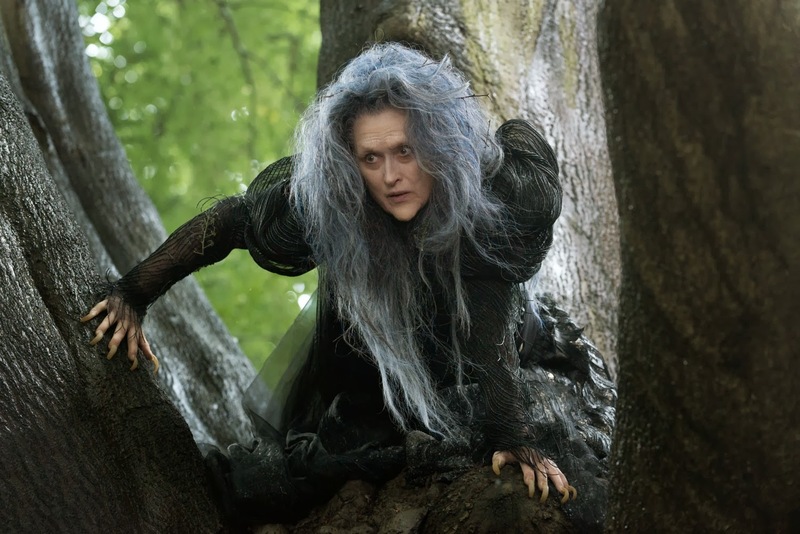 It’s overlong, takes itself too seriously at times and contains a third act twist that will lose some viewers. I admit that by the end, it had lost me. Whatever its faults, “Interstellar” is still ten times more captivating than most of the movies released in 2014. You’ll reflect on it. You’ll wrestle with it. You may not physically movie from your cushy IMAX chair, but you’ll feel like you’ve been light-years away. This entry was posted in Uncategorized and tagged 2001: A Space Odyssey, Anne Hathaway, Christopher Nolan, Gravity, Hans Zimmer, IMAX, Inception, Interstellar, M Night Shyamalan, Matthew McConaughey, NASA, Ray Bradbury, The Dark Knight on November 15, 2014 by Lavender Vroman.